← You mean I’m not done? P.T. (named after P.T. Barnum) returns as the hilarious narrator in the second book in the WELCOME TO WONDERLAND series. Earlier this year I raved about Book #1—Home Sweet Motel. This is a totally new wacky adventure and reading the first is not a requirement but encouraged. You’ll quickly find out P.T. lives in The Wonderland Motel in St. Petersburg, Florida with his mom and grandpa. P.T. has a knack for talking and convincing people his stories are real. His best friend is Gloria, a business minded classmate. The nasty owner of the resort next door wants to bulldoze The Wonderland and use it for a parking lot. He always gets his way, but maybe not this time. P.T. and Gloria convince a movie crew to film their retro 1960’s movie, Beach Party Surf Monkey, at Wonderland. They hope doing so will bring worldwide popularity to the motel and keep P.T.’s mom from selling out. Of course problems arise with the monkey costar and a teen idol with a huge ego. It leads to lots of baloney, a smelly finale, and the promise of a third book, BANANA SHACK SHAKE-UP. The 79 chapters—not a misprint—fly by and reluctant readers who are under the parental rule of reading one chapter a day this summer, won’t even notice they’ve read many more. Silly and lighthearted makes for the perfect combination this summer. Check in for a few hours at The Wonderland and enjoy all the amenities like a fun, outrageous story with many laugh out loud illustrations. The extras in the back will keep readers amused until the next book comes out. P.T. WILKIES OUTRAGEOUSLY RIDICULOUS AND OCCASIONAL USEFUL STUFF is where you will find explanations of common movie terms and a fun movie quiz. Some smart marketing person decided to put the questions in the book but the answers on the author’s web page. A great way to move readers to other content. One major cliffhanger remains. Where is P.T.’s dad? Its something both P.T. and readers will hopefully find an answer to in the next book. Books with illustrations can often be hard to read as you go back and forth from words to drawings. Here though there is a nice balance and they seamlessly integrate with each other. Grandpa is the kind of grandpa every kid should have—always there when you need him. Nothing heavy here. Leave that to the many MG books dealing with those big issues. As I read the book on my porch it had me laughing, garnering a few extra looks from passing neighbors. I let them borrow my copy and now they’re the ones smiling. Yes, like we said, Chris is always writing! This morning, he wrote a grocery list, a note to his wife, J.J., and a letter to Santa Claus. It’s never too early. 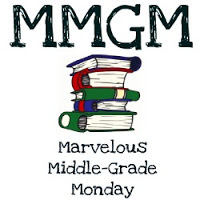 This entry was posted in Reviews and tagged Chris Grabenstein, male protagonists, Marvelous Middle Grade Monday, MG book reviews, Middle grade, Welcome to Wonderland–Home Sweet Motel, Welcome to Wonderland—Beach Party Surf Monkey. Bookmark the permalink. Sounds like an entertaining book. P.T. sounds like a great character. This is the perfect fun summer read for kids. Nice review. I smiled. Thanks for the recommend, and happy MMGM! I’ve seen a lot of books by this author and they always seem so happy and exciting. This one sounds like it is, too. I saw this book featured on another blog and it looks fun. I love the $20 quote–so hilarious! I read that you won a copy of Kate DiCamillo’s book from Rosie. Congrats! Can’t wait to read it myself as she is one of my favorite authors (I sat front row at an SCBWI conference while she talked and hung on every word). I love books with cool grandparents. I love the term “surf monkey.” Cracks me up. I will be looking for this one. Thanks for the post. I love Chris Grabenstein’s books, so I will add this to my TBR list! Thanks for pointing it out to me. I love the quote. Oh my Gods this sounds absolutely insane! Like…a motel, a parking lot, a movie and a monkey superstar? Only Chris Grabenstein could put this together. Thanks for the recommendation! I think a lot of reluctant readers will be drawn in by the monkey! Siunds really fun. You always find really fun sounding books!